The Prelux New Moon Up/Down LED office pendant light with it's crescent shaped aluminium frame is ideal for commercial spaces. The Prelux New Moon Pendant is an elegant and versatile fitting suitable for a range of commercial, retail and architectural spaces. 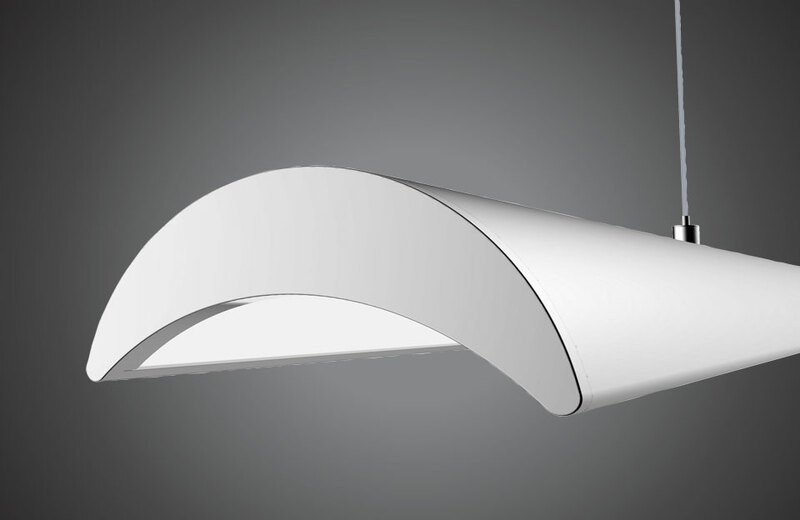 The crescent shaped frame is crafted from high quality die cast aluminium for superb thermal dissipation, adding to the long 50,000 hour lifetime of the LEDs. New Moon provides a soft even light with a low UGR of <19, while the 15W uplight and 35W downlight create an ambient atmospheric glow making New Moon ideal for public buildings, retail stores and commercial offices. 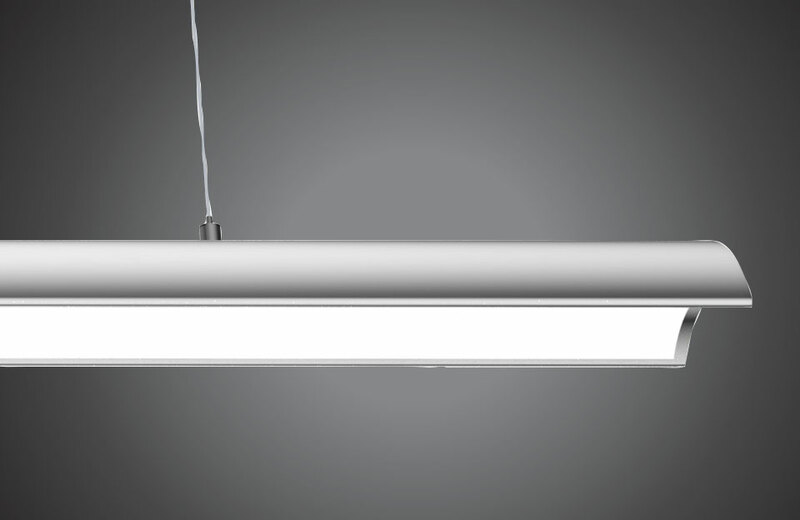 The New Moon LED office pendant has the appearance of a high-end designer fitting but comes with a far more practical price tag, making it an ideal luminaire choice for public buildings, retail stores and commercial office spaces.